Graber Window Treatments in Montgomery, AL - Just Blinds Inc. When you choose Graber window treatments to complete the decor of your home in the greater Montgomery, AL area, you should expect a superior experience, beginning at the moment of installation and lasting throughout the life of our products. Just Blinds is the Montgomery areas experts in installing custom Graber products to complement your home decor and complete any room design. Every element of your home should be as stylish as it is functional. Just Blinds will assist you in creating a focal point, adding the finishing touch, or continuing a design theme. 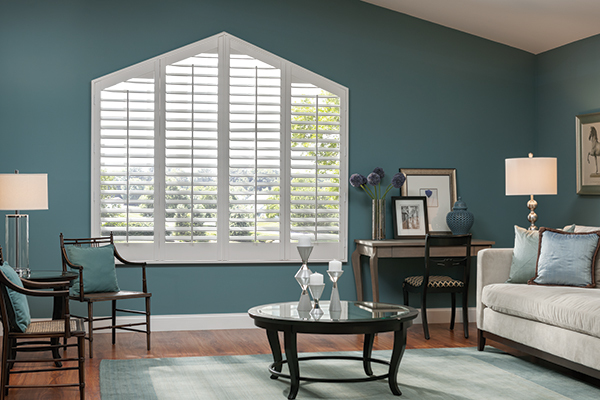 Look to the Graber collection of blinds, shades, shutters, draperies, top treatments, and controls to give you an extensive, exceptional choice of window fashions. Schedule your FREE GRABER onsite consultation today! Whether your home decor is traditional, contemporary, or eclectic, Traditions®Wood Shutters can add warmth and beauty to your living spaces. 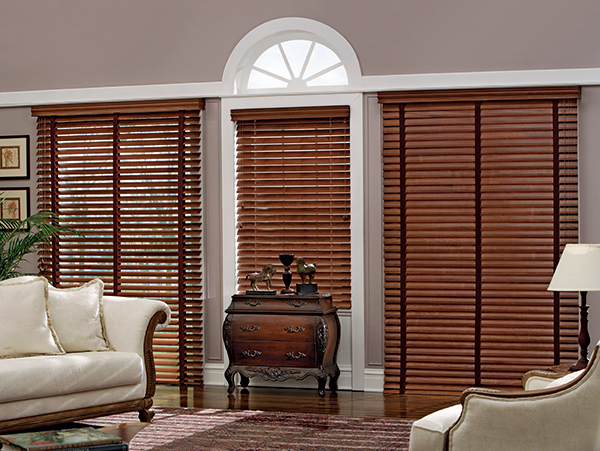 Made from exceptional North American hardwoods, these shutters are an investment in style and quality. 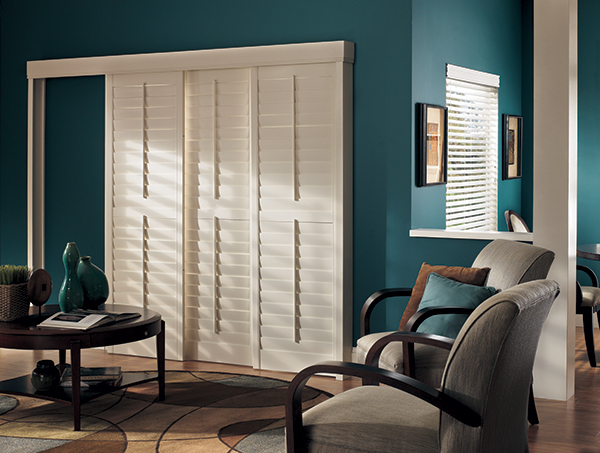 In our time-honored tradition, the wood for these shutters is sourced from responsibly managed forests. Each piece of hardwood is individually inspected for quality. A three-step drying process prevents cracking and warping. Then all milling, sanding, painting, and staining is done by skilled technicians. Consistent with our commitment to a green future, sawdust and wood shavings are recycled. Schedule your FREE WOOD SHUTTER onsite consultation today! Schedule your FREE COMPOSITE SHUTTER onsite consultation today! Graber Traditions® Wood Blinds can take on a variety of paint and stain colors, setting the tone for your living spaces and carrying an aesthetic theme from room to room. Consulting and installation by Just Blinds along with the Graber Traditions Wood Blinds superior materials and craftsmanship will be the perfect addition to your home. Whether your home decor is traditional, contemporary, or eclectic, versatile Graber Traditions Wood Blinds can add warmth and beauty to your living spaces. Schedule your FREE WOOD BLINDS onsite consultation today! 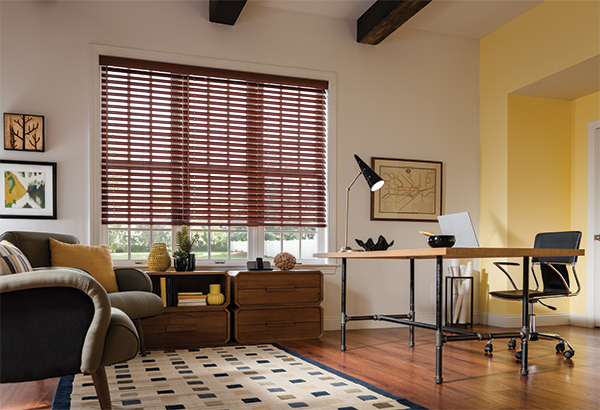 Transform any room with Graber Faux Wood Blinds, a cost-effective way to decorate your home. Engineered to withstand excess moisture, Lake Forest® Faux Wood Blinds and Traditions® Composite Blinds are durable and easy to clean, a practical alternative to hardwoods. Schedule your FREE FAUX WOOD BLINDS onsite consultation today! Sophisticated Graber Vertical Blinds give patio doors and large windows drama and dimension. Vertical fabric or vinyl vanes, which match 2″ Vinyl Horizontal Blinds, form a perfect top-to-bottom solution. Schedule your FREE VERTICAL BLINDS onsite consultation today! Graber CrystalPleat® Cellular Shades are a stylish way to boost the energy efficiency of your home. With soft, luxurious fabrics folded into honeycomb-shaped cells, these exceptional shades form an attractive barrier that insulates windows and helps regulate the temperature inside, whether the goal is to keep cold out during the winter or keep heat out during the summer. And because cellular shades conserve energy, they help lower monthly bills. 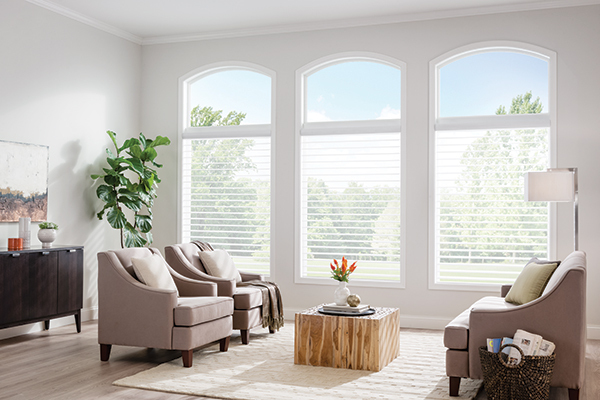 Outfitted with the same benefits on a grander scale, Graber Slide-Vue™ Cellular Shades are specially designed to accompany larger windows and patio doors. Schedule your FREE CELLULAR SHADED onsite consultation today! Match any type of decor with Graber LightWeaves® Roller Shades. These elegant shades are easy to operate and add sophisticated flair to any room. Choose from designer-inspired fabrics in a multitude of hues, patterns, and possibilities, including jacquards, stripes, and delicate woven textures. For a finishing touch, add embellishments like a scalloped hem and beaded or gimp trim. In addition to hue and pattern, choose the weight and opacity of your roller shades according to how you would like to regulate the light. 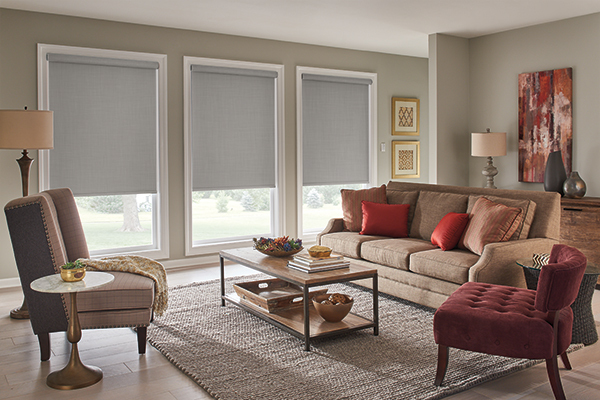 Schedule your FREE ROLLER SHADES onsite consultation today! 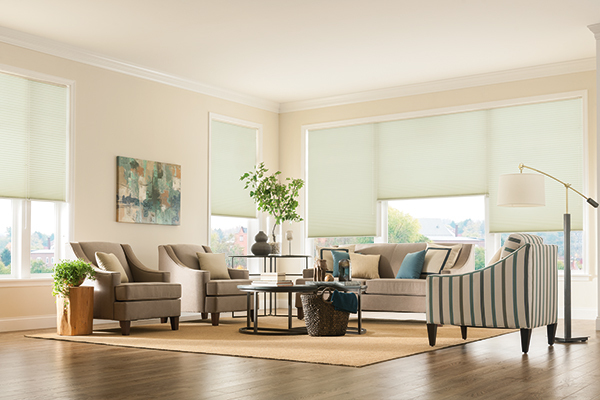 Graber Pleated Shades add depth and structure to traditional shades through evenly spaced, crisp folds of fabric. Available in many stunning textiles, from sheer and light-filtering to opaque, tailor these shades to your preference for privacy and light control. 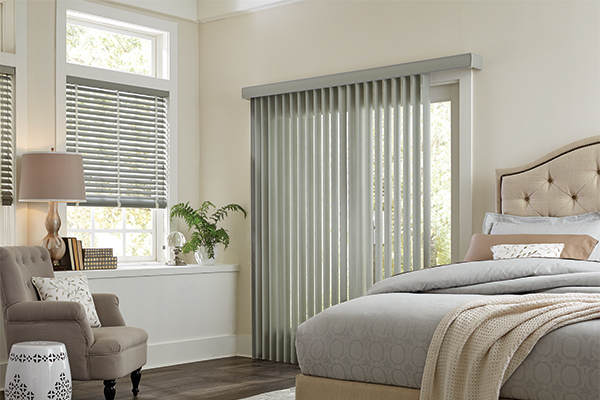 EvenPleat® Pleated Shades feature a back-ladder support, guaranteed to keep pleats evenly spaced and prevent sagging. For the same great style without the back-ladder design, FashionPleat® Pleated Shades are a more economical option. Both styles are available with 1″ or 2″ pleats, appropriate for windows of distinctly different scales. Schedule your FREE PLEATED SHADED onsite consultation today! Overture Sheer Shades are the next iteration of window treatments. Two layers of sheer fabric protect your furniture, flooring, and artwork from damaging UV rays; the supple, lightweight fabric vanes overlap when closed to diffuse the light or block it more completely. Best of all, these shades are woven as one continuous piece of fabric—there are no seams, stitches, or adhesives to mar the look and feel. Our vane sizes offer a variety of views, and there are no visible internal lift cords or ladders to distract the eye. When fully raised, the shades disappear completely into an elegant fabric-wrapped cassette valance. By melding gorgeous fabrics and state-of-the-art construction with versatile functionality, Overture Sheer Shades give a virtuoso performance. Schedule your FREE SHEER SHADES onsite consultation today! Window treatments are designed to elevate your living space—to perfect the ambiance, to protect your furnishings, to accent your decor. 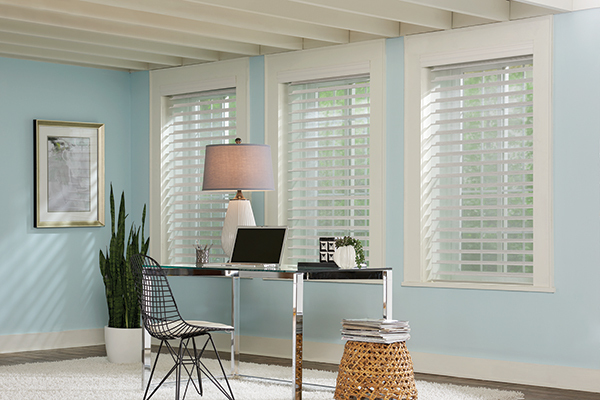 Graber motorized blinds and shades, partnered with Somfy motors and remotes, transform window treatments from home improvement to true indulgence—whether it’s for one window, one room of windows, or your entire home. And it’s easier than you could ever imagine. Our revolutionary Virtual Cord™ remote provides control that’s quiet, reliable, and precise. That extraordinary performance, coupled with a sleek design, means you can enjoy added ease and elegance, and know that you’ve discovered the best of the best. Schedule your FREE MOTORIZED onsite consultation today!